Kansas City is not just the largest city in Missouri; it's one of the most vital economic hubs in the center of the country. "Kansas City is a place where talent wants to move and start a career and a life," says Tim Cowden, President and CEO of the Kansas City Area Development Council. "With our accessibility, affordability and mobility, all of the elements are here and available to help all types of companies grow. Our central location is certainly an advantage for Kansas City area companies. From here, their people can move freely across North America. We are no more than a three-hour flight from every major North American market." 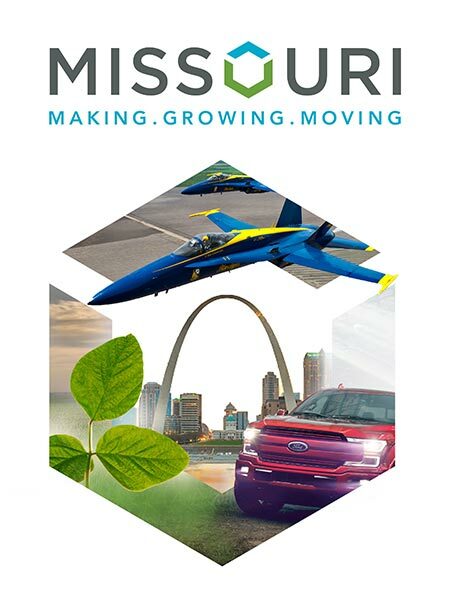 With an MSA population of 2.2 million (29th largest in the U.S.), the Kansas City Area ranks as the largest employment center in Missouri and includes a sizable labor shed in Kansas. "From a regional standpoint, 2017 was truly a phenomenal year for the Kansas City Area," says Cowden. "It was a strong year for manufacturing, logistics and e-commerce." Large capital investments last year came from Nucor Steel, which announced a $250-million steel mill project in Sedalia; Dollar Tree, which announced a 1.2-million-sq.-ft. logistics center in Warrensburg; and Hy-Vee Aisles, a supermarket chain that announced a new e-commerce operation in Kansas City that will create 150 jobs and cost $30 million. In addition, information technology firm Auto Alert relocated its corporate headquarters from Southern California to downtown Kansas City. The move will create 500 jobs over three years. "These companies are choosing to move and grow here because Kansas City is an easy place to live and an easy place to do business," says Cowden. "There is a real sense of pride in the KC Area. KC is a region on the rise." That rise is reflected in a series of notable rankings. Glassdoor in September 2017 named Kansas City the No. 3 Best City for Jobs; Forbes in June 2017 named Kansas City the No. 2 City for High-Wage Jobs; and Money in June 2017 named Kansas City the No. 5 City for Tech Jobs. Entrepreneur also named KC the No. 4 Best City for Startups in the U.S. last May, while Yahoo Finance named KC the No. 5 Top City for College Grads last May. "When we bring corporate executives and site selectors to KC, they are often pleasantly surprised by the level of activity and how beautiful a community this is," says Cowden. "They all leave knowing how cohesive a team we have. They see a spirit of cooperation that does not often exits in other areas of the country, and they know that we will do whatever we can to help their business grow and thrive right here in the Kansas City Area."